In 2017, O’Shaughnessy established Egan Street Design, named after the street she lived on. 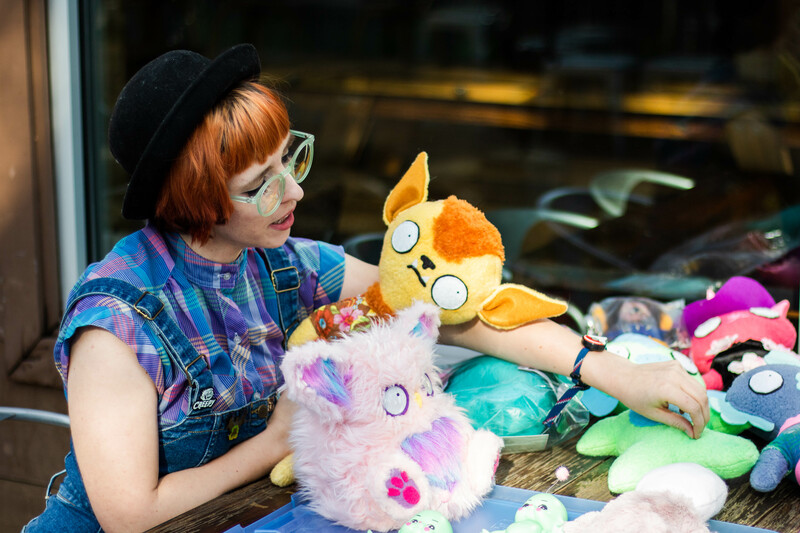 The business began as a hobby but has now become a full-time job for her, with her online shop boasting a wide range of plushie designs. O’Shaughnessy said she enjoys trying out different things with her art, whether it be experimenting with fur types or different colors. Some of O’Shaughnessy’s creations for her online business, Egan Street Design. O’Shaughnessy holds workshops for others to create their own whimsical creatures. Image by: Paige Bruneman. O’Shaughnessy said she was initially inspired to start Egan Street Design after getting involved in Denton’s maker community. She said at first, she did not consider art as a career but seeing people create for a living made me her realize she could, too. O’Shaughnessy also hosts monthly monster-themed workshops. 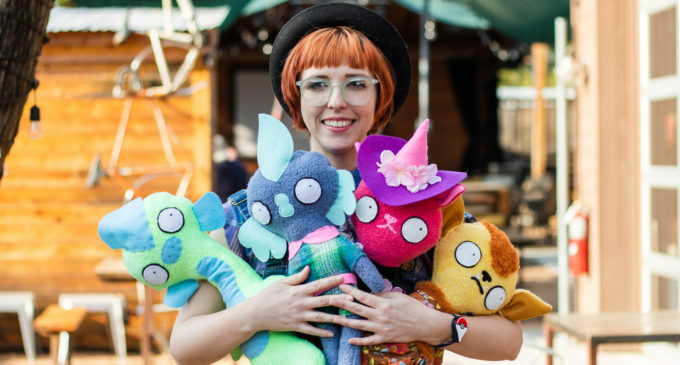 She sets out plushie monster prototypes for attendees as examples and allows them to take plushie-making supplies home. O’Shaughnessy said she hopes to do more events like this in the future. Over time, O’Shaughnessy has been trying to become more brand-aware. O’Shaughnessy also enjoys looking at data and analyzing the engagement information she has access to from Etsy and Instagram. While she enjoys the artsier side of Egan Street Design, she also enjoys trying to figure out where the sale came from. Kimberly Bien is another friend of O’Shaughnessy’s and the owner of Salted Sanctuary Soap. She met O’Shaughnessy when she was a vendor at the Denton Community Market and said she can see herself working with O’Shaughnessy. Aside from the art community aspect, Herman said working together with O’Shaughnessy makes for a productive relationship that not only creates friendship but also new ideas. Featured Image: Lora O’Shaughnessy with some of her creations. O’Shaughnessy has a passion for creating whimsical creatures that she sells through her online business, Egan Street Design. Image by: Paige Bruneman.